Increase your home’s security and curb appeal with a professional fence installation by All Exteriors. Whether you are looking for a maintenance-free vinyl fence or a durable ornamental fence, our family owned and operated business provides the services you need with the personal attention you deserve. Offering all the fencing styles you could want from post and rail to privacy, we’re sure to have what you’re looking for. Call us today, we’d be happy to answer any questions and provide a FREE no-obligation estimate. If you enjoy your privacy but prefer the look of wood, then our wood fences will be a good fit for you! These fences are available in cedar or green-treated, but if decoration is what you want then allow us to decorate your cedar fence with a lattice top (5’ and higher). 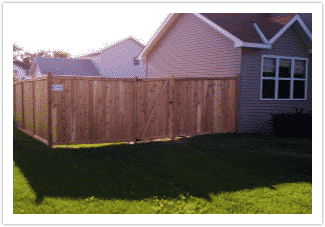 Cedar fences are available in privacy, semi-privacy, picket, or cap rail picket. 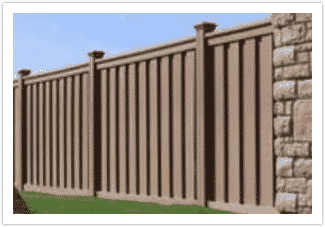 Heights vary from 3 ft to 6 ft. Green-treated fences are available in privacy, semi-privacy, picket, and cap rail picket. Choose ornamental iron for a decorative, classy fence that will also aid in containing a pet or small child in a yard. 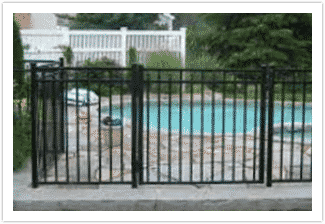 All ornamental aluminum fences come with a limited manufacturer’s warranty. Our Elite Aluminum is powder coated, so it will never rust and is very durable and weather resistant. Our Elite Ornamental is virtually maintenance free and available in a variety of colors, also 2 or 3 rail. We offer several heights to meet your needs; choose from 36″, 42″, 48″, 60″, 72″ or higher. Are you searching for a clean, classy look with a variety of options to choose from that will last you a lifetime? PVC is your answer. 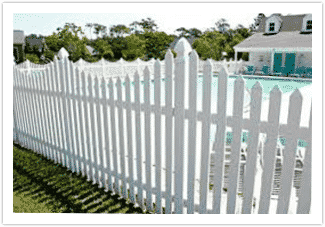 PVC fences are the only style to come with a lifetime limited manufacturer’s warranty! This is another option that is virtually maintenance free and available in a variety of colors and styles. Choose from privacy, semi-privacy, or picket. We have a variety of colors. PVC fences are also available in wood grain. With PVC you will be able to enjoy your privacy and your fence for as long as you own your home! Fully licensed and insured, we are happy to provide references upon request. Contact us today at 715-781-1696 or 612-326-3375, or browse our website for more information about home improvements and outdoor living, decks, siding, roofing, windows, gutters, fences, and patios. Get the privacy you want in your yard by having one of our custom-built fences installed today. For a beautiful fence that will never rust, try one of our ornamental aluminum fences.